The german-based watchmaker Hanhart from the southern Black Forest can look back on a long history in the production of aviator chronographs. 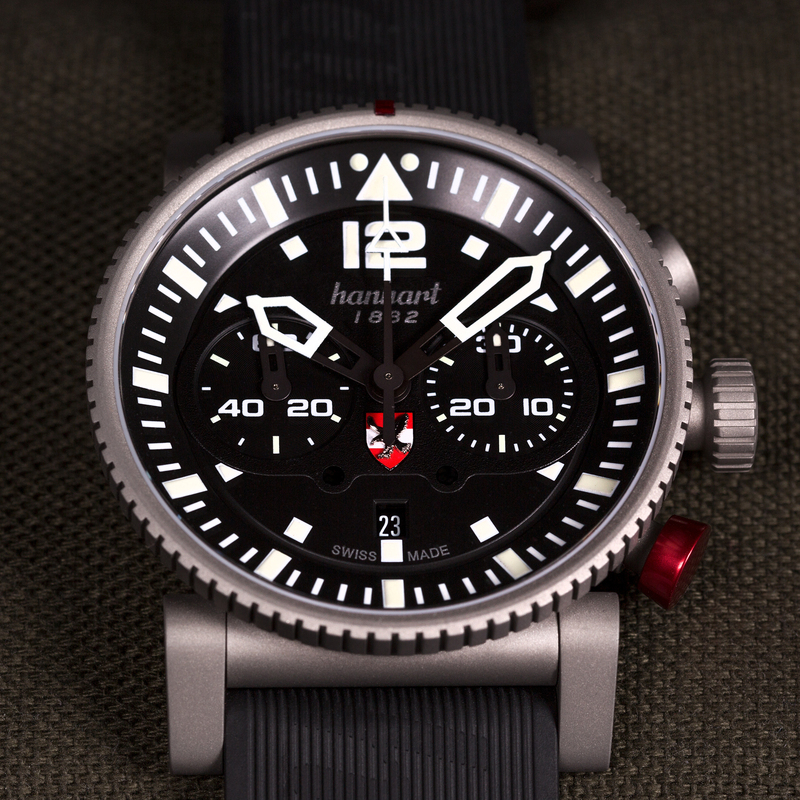 So it should come to no surprise, that when a structural change within the Army and the re-establishment of the Command of the Austrian Air Forces in 2017 the Command inspired to design a limited edition of aviator watches, Hanhart was chosen as partner in this project. The Primus Austrian Air Force Pilot Limited Edition combines the virtues of the Austrian Air Force such as precision, endurance and resilience with the principles of Hanhart: reliability, perfect legibility, ease of use and robustness. 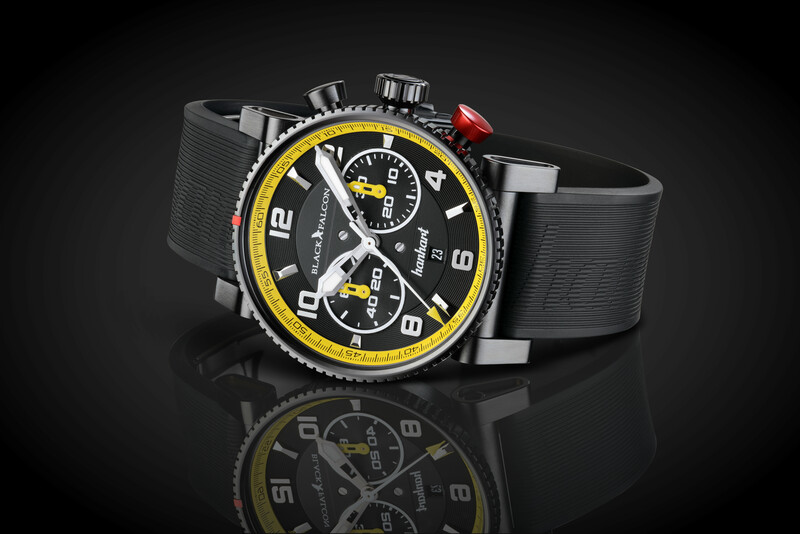 This chronograph combines the characteristic features of both sides, which are required for a perfect pilot’s chronograph. The dial is, like in all Hanhart Primus watches, wonderfully distinctive. The bright luminescent numerals and indexes together with the red Hanhart details create a clear contrast to the black basic design of the chronograph and thereby contribute to a superb legibility. The unique fluted bezel with inlaid red marking, the typical “bicompax” dial arrangement and the anodized aluminium red button reflect the typical features of the watch manufacturer. The chronograph provides central hours and minutes, a small seconds at 9 o’clock, a 30-minute counter at 3 o’clock and a date display at 6 o’clock. The chronograph seconds are counted by the central seconds hand. 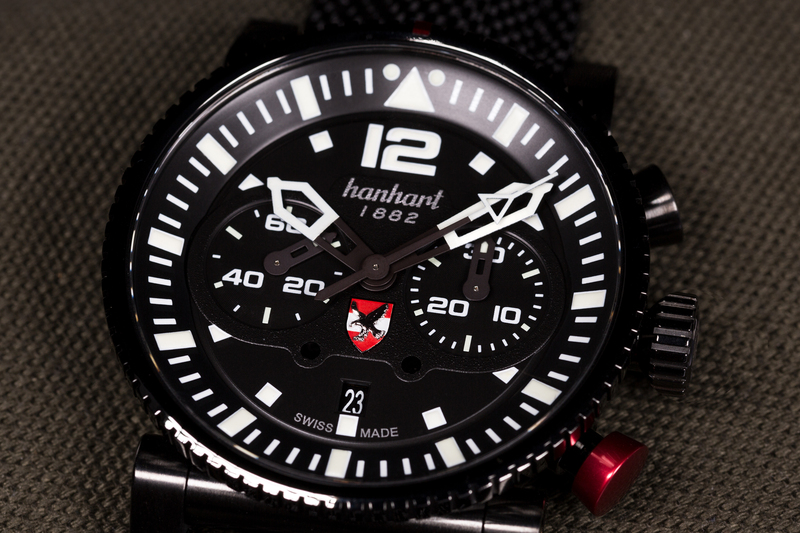 The new timepiece from Hanhart is available in three different versions of case and bracelet. 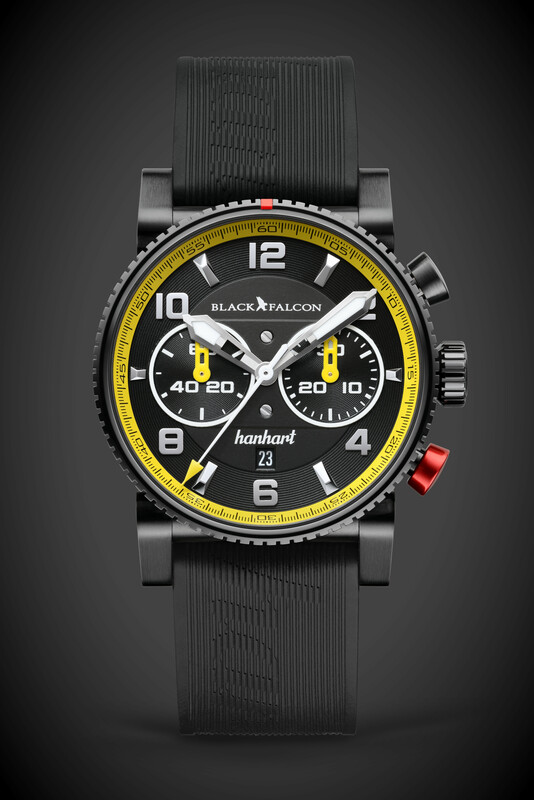 The chronograph can be ordered in a normal, a matt sandblasted or a black DLC coated stainless steel case. Despite the size of 44 mm in diameter and 15 mm in height, the flexible lugs provide a comfortable fit on the wrist. 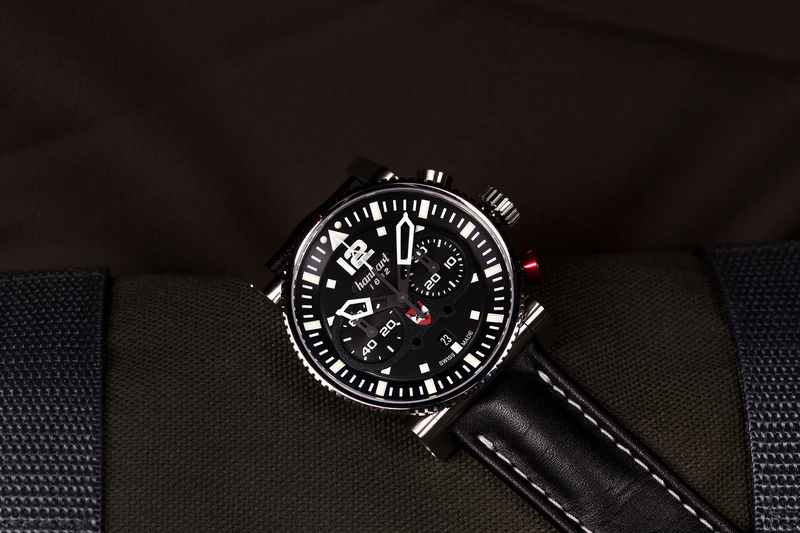 The case of the Primus Austrian Air Force Pilot Limited Edition is water resistant up to 10 bar. Inside works the automatic chronograph movement HAN3809. It works at a frequency of 4 Hz and provides a power reserve of up to 42 hours when fully wound. The bracelets are available in calfskin, vulcanized rubber and canvas; each comes with a folding clasp made from stainless steel and matching the case. This chronograph is a limited edition of 100 pieces. Prices start at 2.590€ for the regular stainless steel one and go up to 3.090€ for the DLC coated one.